To update your festival information, eMail the webmaster at: spacecoastoutdoors@gmail.com. Become One with the River of Grass. Search South Florida hot spots for target species such as Snail Kite, Limpkin, Painted Bunting and up to 170 species in the Everglades, Corkscrew, STA 5, South Miami, Upper Keys, Palm Beach & Dade wetlands and more. A focus on learning advanced birding skills with daily mini-workshops, and handouts that are applied directly in the field on full day field trips. Top Guides and small groups increase birding experience. Also Keynotes Richard Crossley, Paddy Cunningham, dinners, lunches and photography tract. TOP Florida Guides: Paddy Cunningham, Jim Eager, David Simpson. This festival specializes in full day field trips, daily field workshop, speakers, special dinners and birding fun. Focus will be on gaining advanced birding skills in a non-intimidating environment. For more information view www.evergladesbirdingfestival.com/, our Facebook page. Contact Paddy Cunningham at birdpaddy@yahoo.com or 754-201-1141. This festival is perfect for birders visiting Florida or locals wanting to learn more from well-known, knowledgeable birding guides. Add to your life list at an amazing birding area, the 20,000-acre Lake Apopka North Shore. Full-day and half-day trips are offered, along with dinners and keynotes. Join us on the North Shore of Lake Apopka for great birding! Visit our Website and LIKE our Facebook page. For more information call Deborah Green at 407-637-2525, festival@orangeaudubonfl.org. Wings Over Water Festival (WOW) was created by Lehigh Acres Municipal Services Improvement District (LA-MSID) to help the public discover the beauty of southwest Florida's water, land and wildlife. Discover the beauty of southwest Florida's water, land and wildlife. Enjoy a guided nature walk on Friday. Or an array of activities on Saturday including a farmer's market, native plant sale, kid's activities, educational exhibits; and presentations from experts. Admission is free. More information is at Wings Over Water Festival — (239) 368-0044 x 17. Getting there: From Lee Blvd. head north on Sunshine Blvd., turn left on Olive Ave. N. and then turn left on 38th St. W.; and continue to Harns Marsh. The Brevard Nature Alliance is proud to assemble a prestigious group of locally, nationally and internationally recognized scientists, biologists, photographers, ornithologists, naturalists, artists and authors. Additionally, the Brevard Nature Alliance is fortunate to continue relationships with the many sponsors, partners and volunteers who support the Space Coast Birding & Wildlife Festival. Lastly, we could not present this premier event without the variety of bird species that come to us via the Atlantic Flyway and the plethora of wildlife and plants that make their home on Florida's Space Coast. 9:00 am to 4:00 pm -- Valentine Park, 1511 W French Ave, Orange City, FL 32763. This family festival features vendors, food, entertainment and manatee tours. Blue Spring State Park is Florida's most significant warm water refuge for the endangered manatee. A two-day environmental festival in Orange City, it features educational exhibits on endangered wildlife, children's rides & games, food, crafts, craft show and free rides to see the manatees. Admission: $8.00 for adults, $2.00 for children 4-10, 3 and under are FREE, Dogs - $10. Free Shuttle Bus To Blue Spring State Park To See The Manatees! Info: (352) 795-3149. www.themanateefestival.com/ — Jeff Allebach 386-804-6171, Info@themanateefestival.com. Merritt Island National Wildlife Refuge Visitor Center.-- 10:00am - 3:000pm -- FREE family event. The festival will include guided nature walks, swamp buggy rides, kids' activities, music, a keynote presentation, hay rides and Q&A with a panel of experts. See you there! The Florida scrub-jay is the only bird species unique to Florida! Learn some fascinating characteristics of the Florida scrub-jay and their interesting habitat. 10:00am - 4:00pm — Celebrate birds of prey at the fourth annual Raptor Fest at Boyd Hill Nature Preserve. Live raptors and amazing free flight demonstrations are the highlight of this one-day festival. Food, live music, exhibits, crafts, presentations, and more! Free Admission! Free tram tours, Photo ops with live birds, Environmental exhibitors, Activities for children and families, Bird walks. Food and drinks available for purchase. For more information, please visit Raptorfest.org or contact Boyd Hill Nature Preserve at 727-893-7326, 1101 Country Club Way South, St. Petersburg, FL 33705. Saturday, Feb. 3 from 10 a.m. - 3 p.m. — Sunday, Feb. 4 from 10 a.m. - 3 p.m.
Manatee Lagoon ‒ An FPL Eco-Discovery Center™ will celebrate its second anniversary with its first-ever Manatee Lagoon's ManateeFest 2018, featuring a line-up of fun family events over the Feb. 3-4 weekend. Ongoing all day---face painting, marine life coloring station, seaside sidewalk chalk activity, sealife puzzle station, ManateeFest passport activity, photo experience (featuring Mia the Manatee Mascot at 11 a.m., 12 p.m., 1 p.m. and 2 p.m.) and SEASonal selfie station, and a book signing with the author of "Kobee Manatee" series of children's publications. See the event's facebook page for more information: Event Facebook page. Join us on Saturday, February 10th, 2018 for our popular Winter Bay Day! There will be lots to see and lots to do. Best of all, the Low Country Shrimp Boil will be delicious - as always! Meet you on the deck at the Visitors Center! Tour the Preserves: Enjoy a guided tour through the backwoods trails of the Buffer Preserves and learn about the native animals and plant life along the bay. St. Joseph Bay Preserves Center, 3915 Hwy 30-A (Approximately 5 miles south of Port St. Joe). Call (850) 229-1787 or visit www.stjosephbaypreserves.org for more information. With more than 125 miles of hiking, biking and walking trails, miles of coastline, varied habitats and more than 200 identified species, Flagler County is a birder's paradise. Few places offer as many wonderful opportunities to enjoy nature while being so connected, accessible and clean. An entire weekend is devoted to teaching participants about birds, with workshops, presentations and nature walks designed for adults and youths, both amateur and professional. CLICK HERE to register for this exciting event. 9:00am - 3:00pm -- The Wetlands is a 1,650 acre world renowned example of Wetlands Engineering providing an oasis for flora, fauna, and feathered friends. The festival originates at Ft. Christmas Park in Christmas, Florida. It features include birdwatching tours, photo shoots, bicycle tours, native plant walks, bird banding and mist-netting demonstrations, wildlife shows, live music, and bus tours will travel along the wetland berms. Contact Mark Sees, (407) 568-1706. Website. Cape Coral FL is home to the largest known population of the Florida BURROWING OWL with over 2500 documented burrows. These pint sized birds burrow underground where they nest from late February through July and are now the official city bird of Cape Coral. Highlights of the festival are lectures about the Burrowing Owl and other nature orientated topics, nature hikes to observe the varied habitats and wildlife at Rotary Park, guided bus tours to observe the Burrowing Owl habitats, as well as dozens of local artists showing and selling nature related arts and crafts. Various guest speakers will be on hand to give informative talks on various wildlife topics. One of the highlights of the festival is the newly dedicated interactive butterfly tent exhibit. This exhibit was dedicated to Cape Coral Friends of Wildlife member Tom Allen, who passed away in 2010 and was the driving force in getting this butterfly exhibit built and stocked. Admission is suggested donation of $5 for ages over 16. 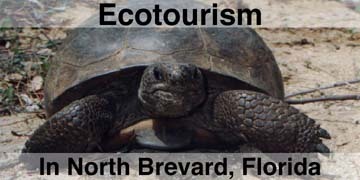 For directions or information call Cape Coral Friends of Wildlife at 239-980-2593 or visit www.ccfriendsofwildlife.org. Co-sponsored by Cape Coral Friends of Wildlife & the City of Cape Coral. 10:00am - 4:00pm, Riverview Park -- 600 US Highway 1, Sebastian, Florida. The Pelican Island Wildlife Festival celebrates the anniversary of the establishment of the nation's first National Wildlife Refuge, on March 14, 1903, by President Theodore Roosevelt! Hosted by the Pelican Island Preservation Society and the City of Sebastian. Live Wildlife Shows, Bird Tours, Kayaking available, Refuge Tours, Environmental Exhibits, Food Vendors, Boat Tours to Pelican Island, Amateur Photo Contest, Kids' Educational Activities by Disney's Vero Beach Resort, T. Roosevelt impersonator, Arts & Crafts Exhibits, Historical Reenactments, Live DJ All Day, & More Family Fun. The event is free with free parking. Boat Tours are $20/person (free under 3 years of age), and food and drink will be for sale, as well as environmental themed crafts and art. The annual Outdoor Fest was created to remind people of the incredible natural resources we have available here in the Keys and encourage them to get outside while promoting an understanding and appreciation of the refuges—home to some of the world's most endangered habitats, plants, and wildlife species, including the endangered Key Deer. This year's fest kicks off in Key Largo at Crocodile Lake National Wildlife Refuge with a Saturday wildlife fair and nature-oriented field trips and presentations, progressing to the Lower Keys events later in the week, allowing those interested the option of enjoying all of the events offered. The Outdoor Fest is brought to you in part by the Monroe County Tourist Development Council. For more information about the refuges, FAVOR, and the list of events, visit www.favorfloridakeys.org/outdoor-fest or contact Kristie Killam at 305.304.9625 or e-mail Nancy or Jan at flkeysoutdoorfest@gmail.com. The Festival & Vendor area (including exhibits, hands on activities, eco-friendly items and food) will be open: Saturday, April 13th from 10 a.m. - 4 p.m.; Sunday, April 14th from 10 a.m. - 2 p.m.
Stop by and see the Flight of the Raptor exhibit, participate in a yoga class with a beautiful view of the wetlands and see student artwork and more! Yoga class information will be posted this week. If you've never toured the Ritch Grissom Memorial Wetlands now is your chance! Go to tinyurl.com/VWNatureFest and sign up today for one of the many tours guided by Wetland Rangers. Hosted by Viera Community Institute. Festival Facebook page. Come join us for a 4-day celebration of birds and wildlife in the beautiful Florida Panhandle, home to the world's largest population of Red-cockaded Woodpeckers. The Chipola Feather Fest will provide you with the opportunity to see this iconic species plus many other sought after birds such as Bachman's Sparrow, Swallow-tailed Kite, Mississippi Kite, Swainson's Warbler, Least Bittern, Snowy Plover, and Purple Gallinule. For more information and/or to register for this exciting event please visit the Festival FACEBOOK page. The Wakulla Wildlife festival is a celebration of the area's wildlife and is intended to be especially inviting for children and the child in everyone. Local music, a Student Art Show (Aspiring Artists), children's activities, outdoor and wildlife exhibitors, and wildlife tours in a neighborhood family atmosphere make the festival an area favorite. The festival is held the third Saturday in April each year. Please visit www.wakullawildlifefestival.com/ for more information. We are once again spreading our wings to present a world-class birding and outdoor photography event. The Festival features more new world-renowned photographers, more new rare birding opportunities, and even more new in-field programs and technical training opportunities than previous events. Equally as impressive is the confirmed return of perhaps the greatest collection of upper echelon international nature and wildlife photographers in the world — a collection which continues to solidify Florida's Birding & Photo Fest as one of the premier and prized events in all of North America. And of course the community of St. Augustine, Ponte Vedra, & all of Florida's Historic Coast is welcoming bird lovers and photography aficionados with all the gracious, friendly hospitality one would expect from the Nation's Oldest City and Florida's most world-class destination. So without further ado, we welcome you to this Birding & Photo Fest—an event which glorifies the love we have for birds, nature, phtography and Florida's unique offering of the great outdoors. It will be yet another auspicious St. Augustine event which is destined to go down in History. For more information go to the Festival website at www.floridasbirdingandphotofest.com. This year's event will be held at the GTM Research Reserve Environmental Education Center, located at 505 Guana River Rd, Ponte Vedra Beach, FL (904) 823-4500. (Just 10 miles north of downtown St. Augustine). Sponsored by: The Downtown Titusville Merchants Association, the City of Titusville & Canaveral National Seashore: 321-403-9334. Featuring: Turtle Watch Programs each evening. Rangers will provide a unique opportunity to view a loggerhead sea turtle laying her eggs. Friday: Volunteer Beach Cleanup, Titusville Merchant's Sidewalk Sale, Sea Turtle lecture, Art Social and Music. Saturday: Junior Ranger Program. Downtown Festival where booths, games, food and fun are just waiting for you. This exciting 3-day festival of our bioregion around Amelia Island, includes numerous nature tours led by area naturalists and Park Rangers, nature photography workshops taught by local professionals, a nature-based / green business expo, The 'Kids Niche' nature-based activities for children, critters from the Jacksonville Zoo and more! This year's Wild Nites seminar schedule is complete. For questions, contact Jody Hetchka 904-251-0016 (days). Lectures by expert naturalists, conservationists and birders, food, entertainment, guided bird watching both in the Garden and elsewhere--as the event nears, check back for a full itinerary of each day's events. For more information please visit the Fairchild Tropical Botanic Garden Bird Festival Page. Contact: Vanessa Cook Email: vcook@fairchildgarden.org, phone 305-667-1651 ext. 3377, 10901 Old Cutler Road Coral Gables, FL 33156. For birders, butterfly enthusiasts, and nature lovers, the Florida Birding and Nature Festival, scheduled for October 13-16, will offer a variety of talks, field trips, and nature-product booths topped off by key note speakers David Johnson, Director of the Global Owl Project speaking about Owls of the World and Carlton Ward, Jr., renowned nature photographer talking about the Florida Wildlife Corridor Project. The Festival is hosted by Hillsborough Community College, South Shore in Ruskin, a gold-ranked LEED Certified campus, the seven local Audubon chapters, the Suncoast Native Plant Society, and Hillsborough County. Field trip leaders include Florida's top birders and naturalists who will take participants to the best local sites for discovering a wide and varied spectrum of wildlife, habitats, and plant life. This year we have partnered with the Sebastian River Art Club for the juried art show part of our event and artwork will be one display for viewing and sale, at the Club's gallery space at 1245 Main Street in Sebastian. In addition to the art show there will be a few other activities during the weekend-long event, including a "featured speaker" (Missi Hatfield, a retired employee of Pelican Island NWR ) presentation and the popular wine and cheese sunset boat cruise to Pelican Island. info@firstrefuge.org • For more information see art show website. To enter the Art Show email debbieainvero@gmail.com. Mark your calendars for this year's "Ding" Darling Days birding and eco-festival at J.N. "Ding" Darling National Wildlife Refuge on Sanibel Island, Florida, the weekend of Oct. 19-20, 2019. Conservation Art Day kicks of the festivities on Saturday, Oct. 19, with visits from Federal Duck Stamp and Junior Duck Stamp winners plus nature art workshops. Birding, boating, tram, and kayaking activities also fill the weekend. Family Fun Day tops off the weekend with free activities on Sunday, Oct. 20. It features all-free refuge tours, live wildlife presentations, archery clinics, hot dogs, a touch tank and butterfly house, and kids' nature crafts. The U.S. Fish & Wildlife Service, "Ding" Darling Wildlife Society-Friends of the Refuge (DDWS), and Tarpon Bay Explorers, the refuge's recreation concession, cosponsor "Ding" Darling Days with generous support from the local community and businesses. Visit www.dingdarlingdays.com for updates on events, information on sponsoring "Ding" Days, or to sign up for e-mail update bulletins.. Contact Dot Voorhees at 239-472-1100 ext. 239 or dot@dingdarlingsociety.org to become a sponsor..
For three days, this festival will provide visitors and local residents access to professionals and experts that specialize in native plants, outdoor recreation, wildflowers, bird and butterfly watching, and much more. During the weekend of October 12-14, 2018, while focusing on the need to conserve and restore natural ecosystems, the Oklawaha Valley Audubon Society will be energizing and engaging all generations, by bringing more awareness of Real Florida to Lake County through the Festival of Flight and Flowers. Fall provides perfect weather for hiking, bird watching and enjoying nature. The Festival of Flight and Flowers has put together a wonderful choice of immersive guided field trips and hikes that are a well-paced mix of walks for all levels of fitness, including children, beginners and advanced nature lovers. October 12, 2018, several guided immersive field trips and hikes to choose from, being led by biologists and nature experts. October 13, 2018, a free family friendly festival in downtown Eustis from 10am-3pm...featuring nature speakers and programs, along with artists, photographers and crafters displaying and offering their works for sale. Plus food and entertainment. There are also more field trips and hikes. October 14, 2018, more immersive field trips and hikes to choose from. The festival on Saturday is a free family event, while the field trips and hikes each have a nominal fee. We look forward to your participation. or more information, please contact us at festivalofflightandflowers@gmail.com or visit our website https://festivalofflightandflowers.org/. 9:am - 4:pm -- Cadwell Park located at 4 Cassady St. in Umatilla. The 19th annual Florida Wildlife Festival, promoting safe coexistence with the Florida black bear and all native wildlife species is scheduled for Saturday, October 20, 2018 in beautiful Cadwell Park! The Partners of the festival include the City of Umatilla, Umatilla Chamber of Commerce, U.S. Forest Service, Florida Fish and Wildlife Conservation Commission, Defenders of Wildlife, Florida Black Bear Scenic Byway and Lake County. 10:00am to 3:00pm -- Enchanted Forest Nature Sanctuary. The activities will include Florida wildlife presentations, live music, guided hikes, environmental exhibitors, native plants for sale by the Florida Native Plant Society and more. There will also be children's activities, and face painting. Food will be available for purchase. This is a free event for all ages. Make plans to join us for this family-friendly event to celebrate our local wildlife including the endangered Florida panther. Along with all regular zoo activities, you'll enjoy outdoor exhibits by area conservation partners, fun activities for kids, guided nature walks on the Gordon River Greenway, and practical talks about living with wildlife presented by experts. Free Admission for Collier Residents: November 5 is a Naples Zoo Free Saturday for Collier County residents. Just bring a driver's license with a Collier County address or other proof of residency. http://www.floridapantherfestival.com • CLICK HERE FOR THE FACEBOOK PAGE. The Right Whale Festival celebrates the annual return of endangered North Atlantic right whales to the warm coastal water off northeast Florida and Georgia, where they give birth to and nurse their young. With as few as 465 remaining, this family-fun event raises awareness of the threats to right whales and how we can help in their recovery. The festival highlights local efforts to protect these whales from extinction, as well as ocean-themed activities and exhibits that emphasize education and environmentally responsible adventures and products.The Right Whale Festival attracts 8,000+ visitors each year! Join us on Facebook and thank you for helping us spread the word. 10:00am - 3:00pm — Charlotte County Sports Complex, 2300 El Jobean Rd. (SR 776), Port Charlotte, FL. The Charlotte Harbor Nature Festival at Naples Zoo at Caribbean Gardens is a regional family-friendly celebration where people can learn about topics affecting the natural environment of southwest Florida. This is accomplished through a wide variety of activities for both adults and children, which include guided walks in Tippecanoe Environmental Park, hands-on activities, exhibits and vendors, music, a Children's Discovery Zone and more. A committee of volunteers, who represent a diverse group of organizations, is dedicated to making this Festival exciting and informative. Admission and parking are both free. Contact is Maran Hilgendorf with the Charlotte Harbor National Estuary Program, tel: 941/575-3374 and email: maran@chnep.org. The Web site is: website.